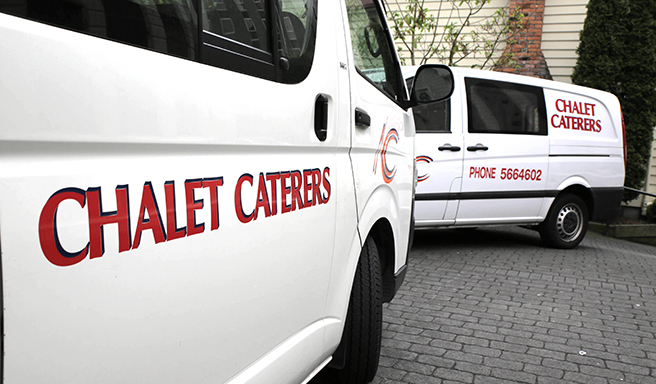 Having served the greater Wellington region for over 40 years, we are a well established company offering unrivalled catering services. Over this time we have become one of the city’s most highly regarded catering services through our love of food and commitment to providing service with a smile. Here at Chalet Caterers we offer all aspects of food service, from weddings and 21sts to seminars and Polynesian catering. We pride ourselves on not only our family orientated values but also our ‘hands on’ approach. These two traits make us stand out from other catering companies, as not only is our food and service impeccable, our attitudes are too. We place special importance on these values as we understand that your event deserves the very best. Our aim is, and always has been, to provide our customers with the freshest, most delicious food of their choice. All supplied within budget and with their preferences in mind. Using only the finest ingredients in all of our food we make sure that it maintains its high standard and pleasing aesthetics. Our company has been family owned and operated since its founding well over 20 years ago. Chalet Caterers will continue to be this way as the second generation take on an extended role in the business. This is with the intention of preparing them to one day take over and run Chalet Catering to the same high quality that our customers have come to expect.